With one adjustable shelf and brushed steel legs. Made from a combination of solid wood and high-grade plywood. Hand-finished with three coats of Danish oil and one coat of wax. 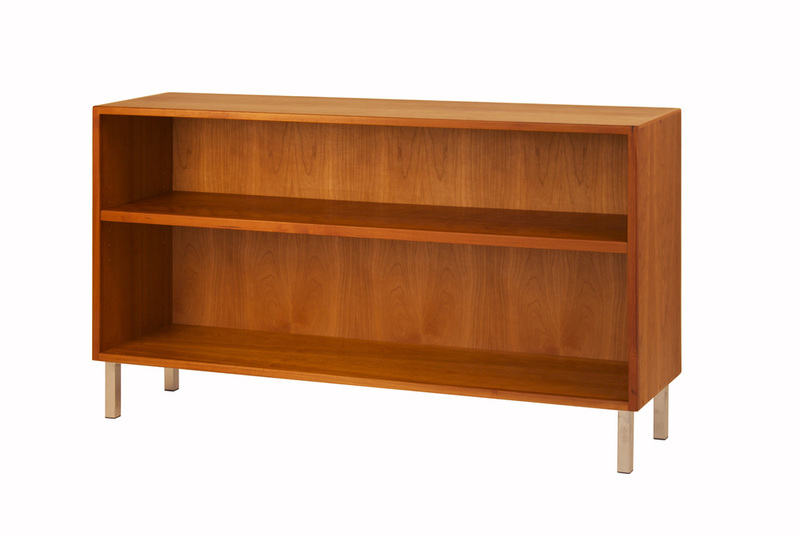 Stocked in cherry (as shown) and available in custom dimensions, wood species, and finishes. Please note that cherry wood will darken over time.